We are members of PETAs Caring Consumer Project and have agreed never to do product testing on animals, or buy ingredients from suppliers known to conduct animal testing. We use minimal packaging - less to produce and throw away. We sell many of our products in bulk to save on packaging and shipping. Our soaps and other products are 100% biodegradable, which makes them earth friendly as well as skin friendly. Our server, Dream Host, is carbon neutral. They purchase renewable energy credits and carbon credits to offset the pollutants that are created as a result of running their business. We support several local charities with donations and assistance. We believe that you have a fundamental right to know exactly what is contained in the products you are buying and therefore give full ingredient disclosure on all of our products. Dingo Believes in the personal power and beauty of individuals. To that end we have enlisted the help of our own in-house Life Coach, Bobbi, to answer any of our readers questions. Plus, if you would like, we offer a free Life Coaching session with our professional coach compliments of Dancing Dingo. 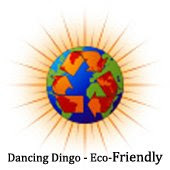 http://www.dancingdingo.com/askcoachbobbi.php for more details or to submit a question.